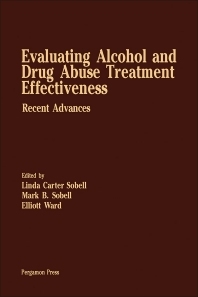 Evaluating Alcohol and Drug Abuse Treatment Effectiveness: Recent Advances is a collection of papers that covers the advancement in rehabilitation of individuals with a history of substance abuse. The title aims to find ways in identifying the treatment that best fits a specific patient. The text first provides a historical account of alcohol and drug treatment outcome research. Next, the selection considers the use of multiple measures of life health to assess alcohol treatment. Chapter 3 deals with the behavioral assessment and treatment evaluation of narcotic addiction, while Chapter 4 talks about the evaluation of behavioral and traditional treatment of alcoholics. The fifth chapter tackles the contingency contracting with drug abusers, and the sixth chapter covers the development of a prototype for the evaluation of alcohol treatment. The text also details the problems in alcohol treatment along with the improvement of confidence in treatment of substance abuse. The book will be of great use to behavioral scientists, social workers, and mental health specialists.